Hey there, thanks for taking the time to check out my build. I wanted to do a new build for a few years now. I just couldn’t afford it. I use my PC mostly for gaming and internet browsing along with school work and other multimedia tasks. I know there is no such thing as future proof when it comes to PC hardware but I was looking to do this build with quality components that are going to last me a few years. I also wanted this build to allow me play BF4 at Ultra levels with high frame rates and also get excellent frame rates in the other games I play. The build itself was easy and joy to do and was done over the course of 2 days when I could find time (full time dad to an infant and preteen daughter along with working full time so I have no real free time). If I had true free time I could have probably done the build itself in less than 2 hours. I am coming from a build I did originally back in 2007 and I have upgraded it over the years when I could afford it. I did my final upgrade a few years ago when I bought an SSD. Putting more money into it was just not worth it IMHO. Old reliable had a final configuration that consisted of an Intel Core 2 Quad Q9550 CPU that I OC’d to 3.8Ghz, an Evercool 120 MM Transformer 4 Heat Pipe CPU Cooler, 8 GB of OCZ Reaper DDR 2 1066 memory, a Gigabyte GA-EP45-UD3P LGA 775 Intel P45 Motherboard, a Creative Sound Blaster X-Fi XtremeGamer Fatal1ty Pro Sound Card, an EVGA Superclocked GeForce GTX 570 HD GPU, a Western Digital WD Black 640 GB HDD, a Western Digital VelociRaptor 300 GB HDD, an OCZ Vertex 2 90 GB SDD (died after 2 years 6 months in 2013 – RMA’d to OCZ and they sent me a refurbished one late last year and it has been working fine), BFG Tech 1200 watt 80 plus rated PSU, Samsung Blu-ray DVD -/+ R Combo Drive, 26 inch Samsung LCD monitor, and a Samsung 840 Pro 128 GB SSD (used to replace the Vertex 2 to get my PC back up and running). Everything was in an Antec 900 case that I bought when I did my original build back in 2007. I purchased all the parts back in mid February through early March of this year over the course of several weeks with my tax rebate. I bought almost all the parts from Amazon and Newegg as they had the best prices at the time and I got fee 2 day shipping from both of them. The only other place I bought from is the case from Microcenter. Some of the parts of this new build are older parts from my previous build. I decided to keep using these parts as they are still useful. Now, on to my part selection and reasoning behind their purchase. By the way, my apologies for the lousy photos. All i have for use as a camera is my Samsung Galaxy Note 2. CPU: Intel Core i7-4770K – Excellent processor and I got it at a great price. I was considering an i7-4930k, but that CPU is very expensive and just not worth it to me for a “mostly gaming” rig. The I7 4770K is newer CPU and that means a newer chipset, it’s unlocked (for when I want to give serious overclocking a try), has hyper-threading, and even at stock speeds, is faster than Sandy Bridge and Ivy Bridge. 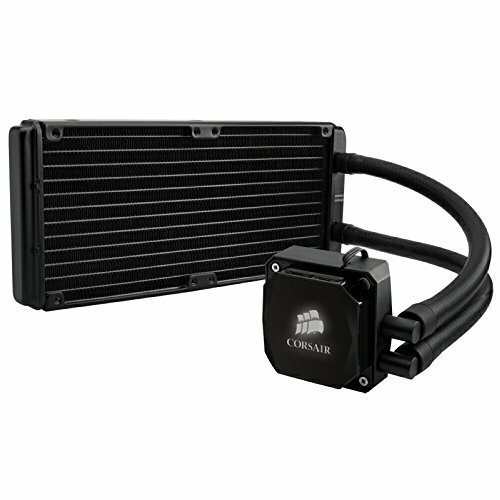 CPU COOLER: I wanted something that would do a good job on the heat generating 4770K, especially when overclocking. I chose the Corsair H100i. I have ready mostly good about this cooler and I wanted to give liquid cooling a try. I am pleased so far. It cools very well and it is aesthetically pleasing to look at. MOTHERBOARD: I went with the Asus Sabertooth Z87 over a couple other Asus board's (the Hero and Formula) and a few Gigabyte boards (I read on various forum's and hardware site's the over clocking problems with some of the Gigabyte board's I was looking at as well as problems with the USB ports). I really like the 5 year warranty, the thermal armor looks down right bad ***, and again, I have read mostly good reviews about this board. There are plenty of SATA ports, fan headers, and USB ports and USB headers. I also love the dust covers that come with the board to cover the unused ports and slots on the board and a small dust screen for rear I/O intake assist fan. RAM: I wanted reliability, speed, and lastly, good looks. OCZ doesn’t make RAM anymore, so I went with 8GB (2x4GB) of Corsair Dominator Platinum DDR3 1866 memory. I also splurged and got the Dominator Platinum Light Bar Upgrade Kit over at Corsair.com. This kit looked amazing before the light bar upgrade and now it looks just flat out gorgeous. 8GB is good enough for my current needs at the moment. 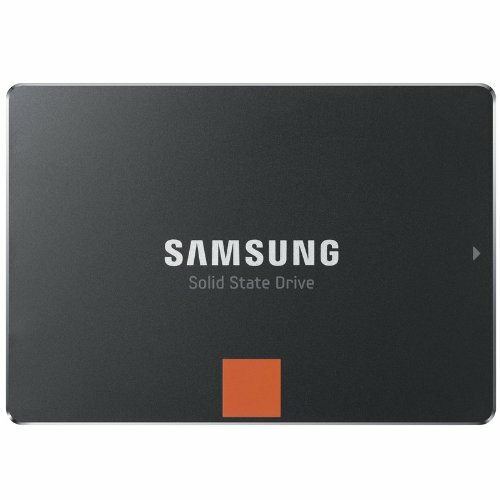 STORAGE: I already had a Samsung 840 Pro 128 GB SSD on hand that I pulled out of my old rig when my OCZ Vertex 2 died on me and was replaced with a refurbished unit from OCZ. I use this for the OS, Office Suite, and other system drivers and software. I also bought another Samsung 840 Pro, but the 256 GB flavor for the games I play the most, which are BF2, BFBC 2, BF 3, and BF 4. Both SSD’s are greased lightning fast and carry a 5 year warranty. 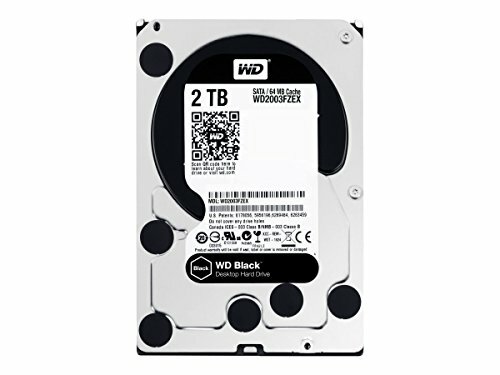 For my Steam library, other non-Steam games, photos, videos, movies, music, and various documents I went with a Western Digital Black series 2TB HDD. I have had nothing but good experience with Western Digital drives in the past and this beauty also comes with a 5 year warranty. GPU: I love to game at a high FPS and I love eye candy. The 780Ti is a beast of a card, is faster than the 780 I planned on originally getting, is one of the fastest GPU’s available, and is a gorgeous piece of tech. I chose EVGA because of their excellent warranty and the stock cooling is excellent as is and looks amazing. I considered a 290 and 290X but the AMD cards run hot and were very expensive at the time of my purchase thanks to their demand by the bit coin miners. I also didn’t want to have to get aftermarket cooling on a video card that should have had a better stock cooling solution to begin with. On top of all that I remembered also remembered the problems I had with drivers from ATI/AMD with a few of their cards I purchased in the past. I picked up a back plate for the card from EVGA for looks, to add rigidity, and to help a bit with cooling. The back plate was easy to install and adds more style to an already amazing GPU. I also got 4 free games from EVGA, including Assassins Creed 4. CASE: I originally wanted a Cooler Master Cosmos II, but that case is very expensive and huge. Honestly I didn’t want to pay that much for a case and have all that room that would go to waste. I really liked the Corsair Air 540, but it seems overly popular and not as unique as I originally thought, and I am not crazy about it only having only 2 3.5 HDD bays. I also didn’t like that it was pretty much wide open on the bottom of the case. I looked at a few other cases before I settled on the Corsair 750D. I got it an excellent price as well from Microcenter. This is my first full tower case and it was a pleasure to work in. My Asus Sabertooth fit with no problems at all with the bottom and top armor still attached to the board. This case is very well designed with plenty of holes in the motherboard tray for threading your cables and keeping them out of sight. It also has lots of tie down points behind the tray itself. The case comes with removable dust filters for the PSU at the bottom, front intake fans, and top of the case. Plenty of room for upgrades too and good airflow throughout the case. The case is amazing and looks very elegant and stylish and not as gaudy as a lot of cases out there. Everything about this case is amazing. I can’t recommend it enough. CASE FILTERS: I live in Phoenix, AZ and if you didn’t know, we are in a desert here. It can get dusty no matter what you do or how often you clean. I bought some custom fan filters for my case from demcifilter.com. The filters that came with the case are fine, but I wanted to keep as much dust out as possible and I wanted to take a proactive approach. The filters that came from Demcifilter have a finer mesh than the stock filters and are removable and washable. I especially wanted to get a dust filter for the bottom of the case, as the case didn’t come with one except for the intake for the PSU, that way I can have a 120 MM fan shooting cooler air into my video card and having this fan bring in air that is as dust free as possible. OPTICAL DRIVE: I pulled my Samsung Blu-ray DVD -/+ R Combo Drive from my old rig. I like the drive itself and having an optical drive has come in handy. PSU: For the power supply I didn’t want to go cheap and risk my components. I got a Tier 1 rated Seasonic X Series X-850 850W 80 Plus Gold Certified Full Modular PSU. It’s whisper quiet, it comes with a 7 year warranty, and is more than enough for what I need right now. And if i should decide to SLI in the future, I should still be fine. The cables are nice and long (no problems reaching components in my new full tower case) and come in nice storage bags. This was the first PSU I have ever used that comes with flat cables. 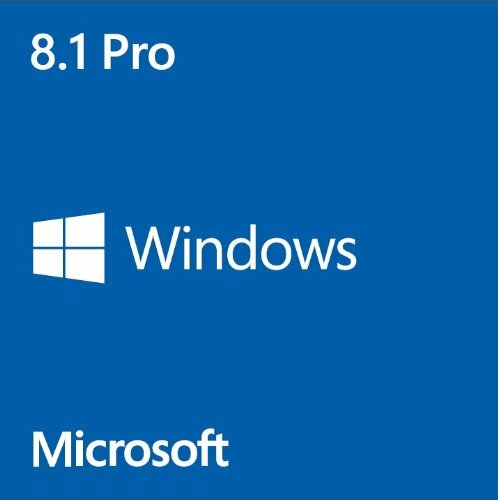 OPERATING SYTEM: Windows 8.1 Pro System Builder OEM DVD 64-Bit. I like it, as I can go from a cold boot to desktop in seconds. SOUND CARD: I have always preferred dedicated sound versus onboard sound. I loved my Creative Sound Blaster X-Fi XtremeGamer Fatal1ty Pro Sound Card I bought in 2007. It still works and puts out excellent sound and even with the old drivers, I never had an issue. For my new build, I wanted a new sound card and Creative is still my choice. 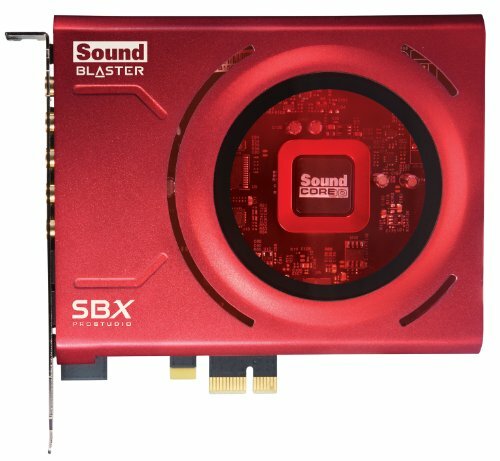 I chose the Creative Sound Blaster Z SBX PCIE Gaming Sound Card. The card puts out amazing sound and I love the fact I can switch from my headset to speakers without unplugging and switching their perspective cables from the back of the case. FANS: I replaced the case stock fans with Corsair Air Series AF140 Quiet Edition fans and for my Corsair H100i I replaced its stock fans with Corsair Air Series SP120 Quiet Edition fans. I love these fans as they are very quiet for the amount of air they move. They also look good. There was only one snag with the fans and their installation. The power cables on the AF140 fans are not very long. They would not reach the motherboard fan headers from the front of my Corsair 750D case. I had to go to Fry’s Electronics to get a couple of 3 pin cable extensions. KEYBOARD: I wanted a new mechanical keyboard with my new build. I looked into the various mechanical keyboards and different cherry switches. I wanted a keyboard that felt good to type on for extended periods of time as well as gaming. I went with the Corsair Vengeance K70 Mechanical Gaming Keyboard Gunmetal with cherry Brown switches. Corsair really put a lot of thought into this keyboard and it shows. The adjustable backlight intensity, the volume wheel (much better than a button as it allows finer control), the keys are easy to remove to replace, the red textured WASD keys feel very good and have a slight grippy feel, and the premium aluminum finish is fantastic and beautiful to look at. The cord is braided and thick and feels high quality. One of the many amazing features of this keyboard is that the keys are raised above the keyboard itself. So it makes cleaning a snap. I am surprised more mechanical keyboards do not have this raised key feature. On top of all that, I love the clicky sound the keys make and the light tactile feedback. I love this keyboard. Best keyboard I have ever owned so far. My fiancé loves to use it as well, for her school work and gaming. MONITOR: I am still using my old Samsung 2693HM Glossy Black 26" 5ms DVI HDMI Widescreen LCD Monitor. It works great still and has rich and vibrant color. The monitor I picked up back in October of 2008 and it's still going strong. This monitor will probably the first thing I replace later this year or early next year. SPEAKERS: Still rocking my old Logitech THX Z-5300e 280 Watts RMS 5.1 speaker set I bought along with my original build in 2007. HEADSET: I am using a SteelSeries - Siberia V2 Gaming Headset I got last year from BestBuy. Thanks again for checking my build out and leaving your comments. 4/21/2014 I added some better pics of the keyboard and changed my builds name. 2/26/2015 I purchased a new ISP monitor and installed another 8 GB of memory. Will post photo's ASAP. Excellent processor and I got it at a great price. It’s unlocked, has hyper-threading, and even at stock speeds, is faster than Sandy Bridge and Ivy Bridge. Gorgeous and stable. It's everthing you want in memory. Get the light bar upgrade for added eye candy. The 780Ti is a beast of a card, is faster than the 780, is one of the fastest GPU’s available, and is a gorgeous piece of tech. I chose EVGA because of their excellent warranty and the stock cooling is excellent as is and looks amazing. I considered a 290 and 290X but the AMD cards run hot and were very expensive at the time of my purchase thanks to their demand by the bit coin miners. I also didn’t want to have to get aftermarket cooling on a video card that should have had a better stock cooling solution to begin with. On top of all that I remembered also remembered the problems I had with drivers from ATI/AMD with a few of their cards I purchased in the past. I picked up a back plate for the card from EVGA for looks, to add rigidity, and to help a bit with cooling. The back plate was easy to install and adds more style to an already amazing GPU. Full tower case and it was a pleasure to work in. My Asus Sabertooth fit with no problems at all with the bottom and top armor still attached to the board. This case is very well designed with plenty of holes in the motherboard tray for threading your cables and keeping them out of sight. It also has lots of tie down points behind the tray itself. The case comes with removable dust filters for the PSU at the bottom, front intake fans, and top of the case. Plenty of room for upgrades too and good airflow throughout the case. The case is amazing and looks very elegant and stylish and not as gaudy as a lot of cases out there. Everything about this case is amazing. I can’t recommend it enough. 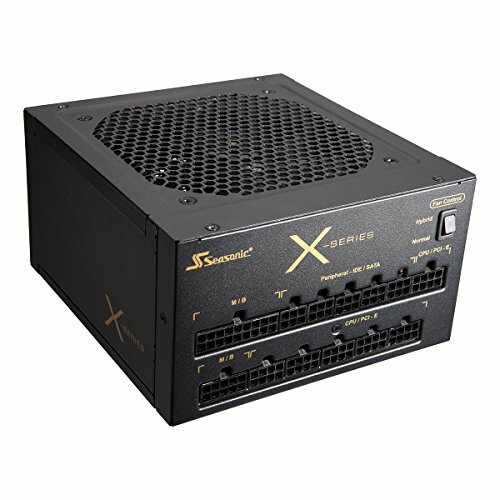 Tier 1 rated Seasonic X Series X-850 850W 80 Plus Gold Certified Full Modular PSU. It’s whisper quiet, it comes with a 7 year warranty, and is more than enough for what I need right now. And if i should decide to SLI in the future, I should still be fine. The cables are nice and long (no problems reaching components in my new full tower case) and come in nice storage bags. This was the first PSU I have ever used that comes with flat cables. Corsair Vengeance K70 Mechanical Gaming Keyboard Gunmetal with cherry Brown switches. Corsair really put a lot of thought into this keyboard and it shows. The adjustable backlight intensity, the volume wheel (much better than a button as it allows finer control), the keys are easy to remove to replace, the red textured WASD keys feel very good and have a slight grippy feel, and the premium aluminum finish is fantastic and beautiful to look at. The cord is braided and thick and feels high quality. One of the many amazing features of this keyboard is that the keys are raised above the keyboard itself. So it makes cleaning a snap. I am surprised more mechanical keyboards do not have this raised key feature. On top of all that, I love the clicky sound the keys make and the light tactile feedback. I love this keyboard. Best keyboard I have ever owned so far. My fiancé loves to use it as well, for her school work and gaming. You sir have an absolutely outstanding build here, from the part selection to the pictures +1 from me! (although I wish I could +5) On another note where did you get your keyboard, I have been looking everywhere online and no luck? Wow yeah I wouldn't pay that much for a keyboard. I have noticed in the last month the cherry browns k70s are hard to find. Thank you for the compliments. I will get some pics of the keyboard and mouse in the light posted soon. I got the keyboard in February. At the time I didn't have a hard time finding one. Thanks! Got the keyboard from Newegg. Solid build. Great part selection! How do you like the sound on the Blaster Z? Thank you. I love it. The sound is amazing. The sound is rich with clear treble and deep base. The in-game sound is out of this world. Hearing the footsteps of guys on the team before you see them comes in handy. My fiance loves to play her music though the desktop speakers. It's so nice not having to unplug my speakers to plug in the headset. 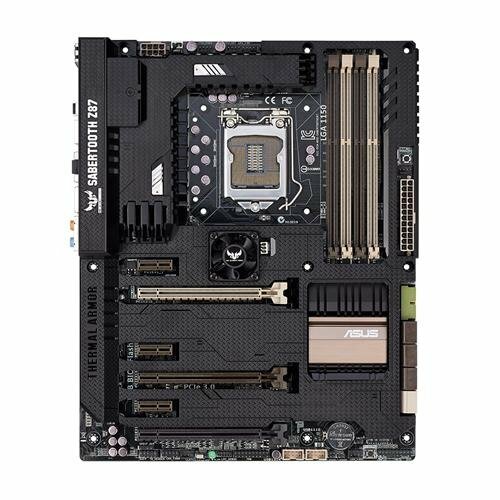 Im building a computer like this for work and used that exact same mobo. The only problem I have is those 2 little fans for the motherboard, they make too much noise for me. I disconnected them for now. At first I thought it was the h100i pump making the noise until I unplugged all the small fans and the noise stopped. Yeah those little boogers can be noisy. I Think I found a solution on the Asus ROG forums that will help with the noise. Thank you. I thought about not using the optical drive at all but like to play Blu-ray discs on my pc on occasion. Lol thank you sir. It's okay to nit pick. I wish I was as talented as some of the guys and gals on here who mod their components to match. One of the cleanest and most well documented builds I've seen on here. It's not very often that a clean build is followed up with an even better description and set of pictures. Well done in every regard! Thank you sir. I have a lot of respect for this community and what is expected by posting here. I know I don't like it when there is no clear destination or reason for the presented build and or an unsatisfactory amount of photos. I've been searching far and wide for that steel version of the Corsair Vengeance K70 in cherry brown, where did you find it? +1 for detailed pictures and build. Thank you sir. I got the keyboard back in February from Newegg.come. I have noticed that last few weeks that keyboard is not being carried in stock any more. Maybe Corsair is no longer making them or getting ready to put out a newer version. Lol thank you for your compliment. Alright man I hate to be that guy but why did you get a sound card instead of an external DAC? Other than that absolutely great build man. Also Can you program the ram lights to blink in patterns? Lol no worries and thanks for the compliment. As far as the not getting a DAC,I got my sound card at a smoking price and I didn't find a DAC as nice as this sound card for a comparable price. I highly recommend this little beauty from Creative. Sorry I didn't answer your question about the ram. Mine do not blink. I don't think there is a way to make them blink. At least I have never read or heard about that capability. Thanks for the answer man. Great Build! +1 Cool build! The pictures get the point across nicely. How often do you have to clean those filters? 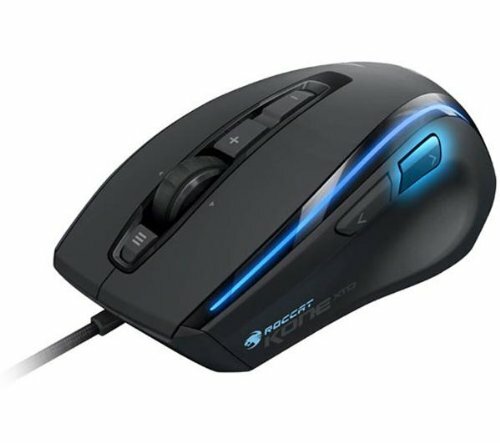 I've been thinking of getting one for my vacuum cleaner (PC). I've had the filters on for a month and have cleaned them once. They are amazing. I took some canned air to them outside, as they were a tiny bit dusty. One of the awesome features of the filters I got at demcifilter.com is that they can be washed. Thank you so much for the compliment. I did my homework and did weeks of research. I'm glad my effort can inspire you. I was fortunate enough to get a decent tax rebate to afford this. Good luck with your build. Absolutely. It's been off except for taking the photos. I wanted to show folks what those extra custome filters look like on. Same thing with the customer filter on the top of the case. Thank you for the compliment as well. Lol thanks. And thanks for over looking my terrible punctuation and misspelled word's. Thank you. I really appreciate your compliment. man that is a nice build!!! Thank you sir. I appreciate the compliment. Ridiculous I know. Lol. Thank you. Very nice, great cable management! Your right our builds are very close. The sound is a better from the sound card over onboard sound. Not a huge differnce, but to me, it does sound a little richer. I would have gone with onboard sound, but i got a really good deal on my sound card and it's nice not having to unplug my speakers to plug in my headset. I also considered going with a DAC, but this sound card was cheaper than the DAC I wanted. if sound is not much of an issue with you, save your bucks, and stick with on board sound. Jesus. Didn't expect to come here and get blown away lol. Good read! and that build is freagin amazing. Lol thanks. What I tell ya, great wall. cool build I just bought the 750d a week ago and it hasn't arrived yet but I wanted to see what other people were doing with it and I like your build a lot. Hi ~ How's that cooler holing up? Hey boss, great. Everything is up and running fine. Cooler working great and no leaks. 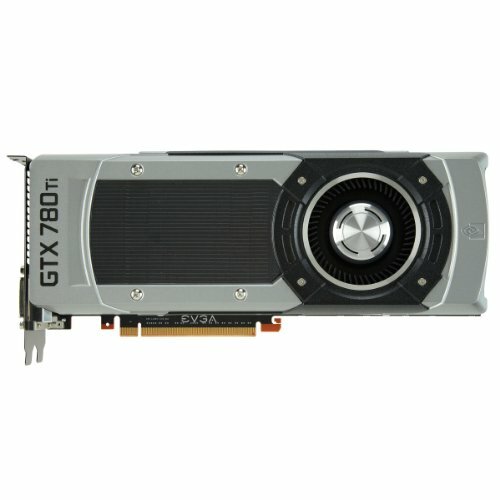 Looking to upgrade from 780 TI to the 1080 TI when it comes out. Will pass on the 780 Ti to my 13 year old for a new build i want to do for her. Working fine. It's a sold AIO. Thinking of doing a new build and giving my new build to my daughter. Thank you for your compliment. I actually picked up a lighting kit from Costco. I just haven't had time to install it. I will put those pics up as son as I get it installed. Thank you also for the links. finally installed a lighting kit I got from Costco months ago. Took a few photos with my potato. From Costco?? Care to share the link or the name of the product? Again, I picked it up for around $30 from my local Costco. For mostly gaming, 8 gigs is enough. Windows 8.1 does a great job of managing ram, and I noticed even on ultra settings in BF 4 I have plenty of memory left. If your doing a lot of memory intensive work on your pc though, better to have the 16 gigs. Hey, no one like's a smart ***. lol. Thanks bro.